We are a consulting firm offering a full range of specialized services to Entrepreneurs, Businesses and Franchise Networks. We strive to understand and grow your business with the our team of professionals who excel providing a world-class solutions with a human touch. Through the years we have formed a team which embraces professionalism with a human touch, with the purpose that each client feels reassured by our experience and forward-thinking vision in business. In 2014 we have received the distinction of being named a Socially Responsible Enterprise, which fulfills one of our dreams of seeking the well-being of many interest groups. Today, we continue to work towards being a dynamic consulting firm that shows commitment and dedication in each and every project and in each and every dream of the Entrepreneurs and businesses we assist. More than 20 years of experience allow us to be a leading consulting firm offering our services to more than 750 satisfied clients and friends in Mexico and around the globe. Our daily efforts are focused on consolidating the success of our clients so that they can realize their dreams. More than 20 years of experience allow us to be a leading consulting firm offering our services to more than 750 satisfied clients and friends in Mexico and around the globe. Because one of our main ingredients are your dreams, they require personalized and professional care and attention. 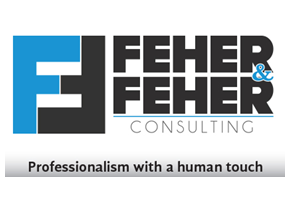 In Feher & Feher we help you fulfill them because we understand their value and importance. With more than 10 years of experience in Franchising, in 2002 our CEO, Ferenz Feher founded Feher & Feher, Business and Franchise Consulting with the goal of providing a full range of services dedicated to the development and growth of the business sector.